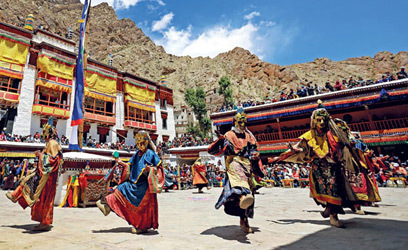 Ladakh is the “land of high passes”, the place whose beauty lies in its rugged landscape and time seems to come to a standstill. 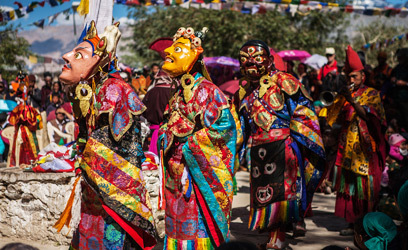 Situated at an altitude of 3,000m, its home to divine-looking lakes, ancient monasteries and a fascinating culture. 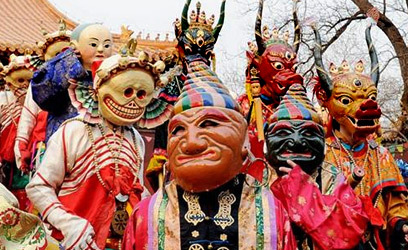 Apart from the natural beauty that greets you everywhere, Ladakh also hosts several festivals throughout the year. 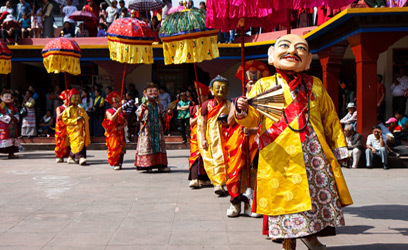 As a tourist, it’s a privilege to witness these festivals which showcase the heritage and culture of this region. 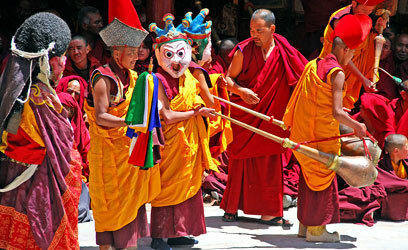 One of the festivals which is all about thrill and excitement is the Polo Festival in Ladakh. 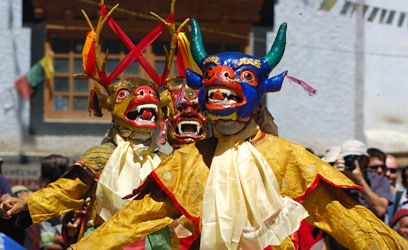 A heritage game which showcases the traditional culture of the region, it is accompanied by music, dance and other celebrations. Attending this festival can really be a wonderful experience. 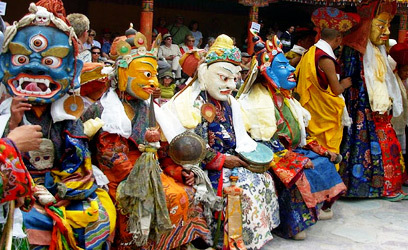 You will also get the chance to taste the unique cuisine of Ladakh along with the handicrafts of the region. 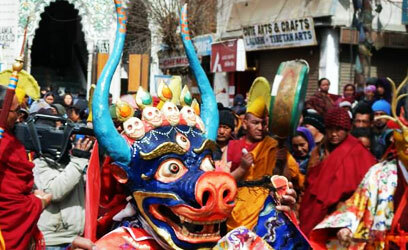 If you need one more reason to visit Ladakh with your family and friends, this is definitely one of them. 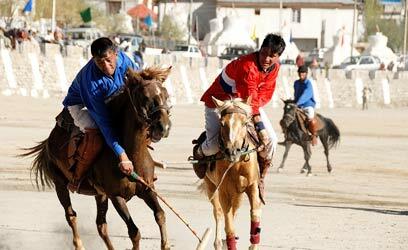 It’s believed that the game of polo was introduced to Ladakh in the 15th century CE through a princess belonging to Baltistan, who also happened to be a mother of the Ladakhi ruler, Singge Namgyal. 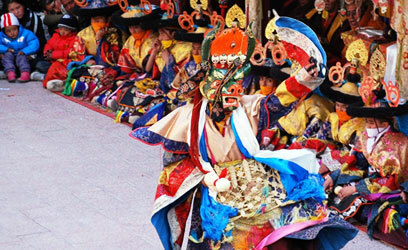 The game has grown in popularity over the years and is considered to be an essential part of Ladakhi culture today. 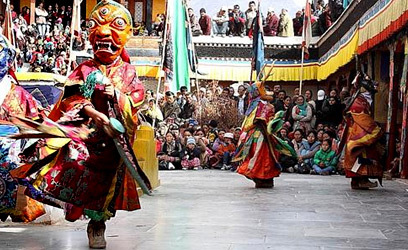 This game, which is highly loved by the people, is played during local sport competitions including all festive occasions like Losar (Buddhist New Year) and Nowruz (Muslim New Year). However, it’s interesting to note that the kind of Polo played is Ladakh is different from the kind of polo played all over the world. Here, the game is played on arid land, and that makes it much more competitive and demanding than anywhere else. 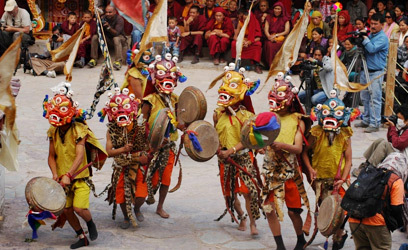 Each team consists of six players and every goal scored by a player is accompanied by traditional folk instruments like “daman” and “surna”. 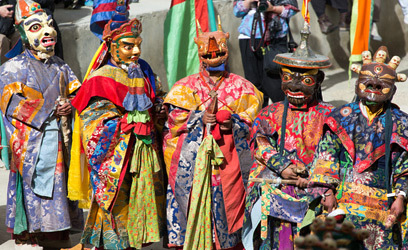 Although Polo is the main attraction during the Polo Festival, there are other events and activities which keep a visitor thoroughly entertained. 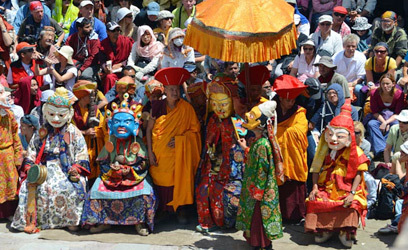 The Polo Festival also seeks to showcase the heritage and culture of Ladakh by showcasing its traditional village life. 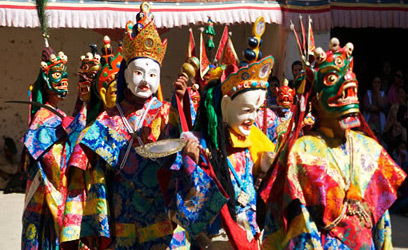 As a tourist, you will witness the incredible performances of Ladakhi folk music and dance by the local artists. Archery contests are also held, along with a popular local drama called Abi-Apo (grandmother-grandfather) enacted by the local artists. 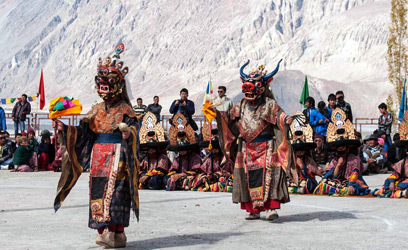 Along with all the games and dances, the traditional cuisines of Ladakh will win your heart. 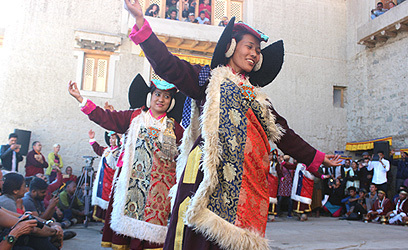 The unique cultural traditions of Ladakh is reflected in its cuisines, some of the most popular of which are Thukpa (soup noodles), Mok mok (dimsum), chutai-sku (local pasta) and kholak (barley). You can try out some of these foods at the various food stalls of the festival. 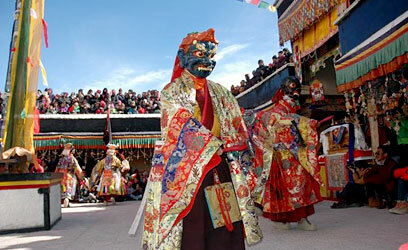 Another major attraction is the handicrafts of Ladakh which are on display during this festival. 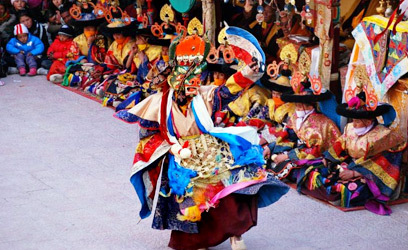 At the various stalls, you will come across several handicraft items like pattu (a rough woolen fabric), baskets, Thangka paintings, pashmina shawls and hand prayer wheels, besides other items.